Starting today, distinct API secrets can be set for the Sandbox, Development, and Production environments. 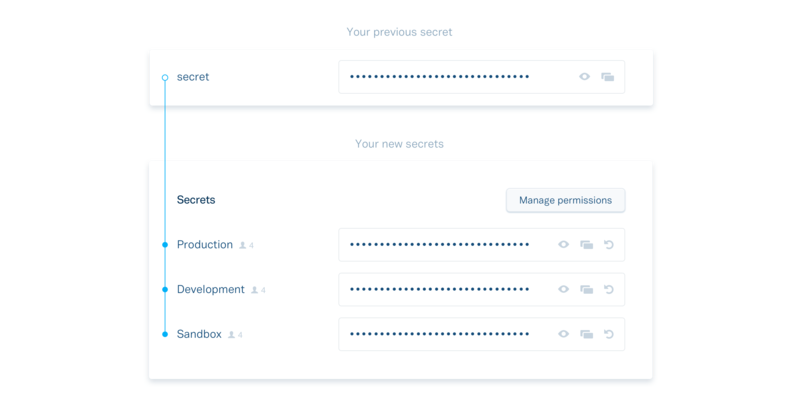 This allows you to easily grant varying levels of access to the Plaid API across your organization, meaning you can now safely give your entire development team access to the Sandbox environment. To make this transition easy, we’ve duplicated your current API secret across the three environments. Sign into the Plaid Dashboard and update your API secrets today to take advantage of this additional security.